A source close to Britain’s biggest trade union, Unite, said that it was increasingly concerned about the future of Vauxhall plants in England should French automaker PSA Group reach a deal to buy GM’s European Opel-Vauxhall unit. For years, Europe’s car industry has been plagued with overcapacity, causing analysts to expect that a potential sale of GM’s loss-making Opel-Vauxhall to PSA will lead to cuts in capacity and, by association, jobs. Last week, two sources close to PSA told Reuters that job and plant cuts were part of negotiation between General Motors and PSA, as the latter continues to seek to acquire the Opel-Vauxhall unit. The two Vauxhall plants in Britain were said to be the primary candidates of being shut down. Britain’s decision to leave the European Union, which could result in trade tariffs, is thought to be a leading factor in the decision. Of the 38,000 people employed by GM Europe, roughly 4,500 are employed Britain. 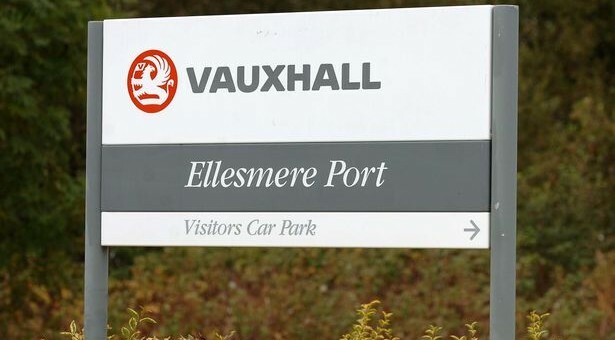 U.K. politicians and Vauxhall stakeholders became particularly concerned for the future of the nation’s two Vauxhall plants in Ellesmere Port and Luton as PSA was reported to have pledged to continue operating all Opel plants in Germany if it proved successful in acquiring Opel-Vauxhall from GM. “We are increasingly concerned after reports that German plants are safe,” the trade union source told Reuters. The trade union also added that the head of the Unite union, Len McCluskey, would likely meet PSA Chief Executive Carlos Tavares in London on Friday. British officials have also been lobbying hard to meet with PSA Group executives. Earlier in the week, British business minister Greg Clark said he was told by PSA executives that they valued the Vauxhall brand and prided themselves on not closing plants but instead focusing on finding efficiencies elsewhere. Clark stated that PSA was not in a position to give guarantees, since it was still in talks with GM. He added that the German government was in contact with London and that the two countries would not be played off against each other. According to a government source, Clark is due to meet PSA Chief Executive Officer Carlos Tavares “towards the end of the week”. Other U.K. officials are also in talks with PSA’s Tavares. Prime Minister Theresa May also plans to speak with the chief executive. According to her spokesman, she is determined to protect Britain’s car industry. “It’s going to be a private conversation. There’s been a request for a meeting and we will try to make that meeting happen, but I am not going to go into what the nature of that conversation will be,” Tavares told reporters. The Opel-Vauxhall-PSA developments are being looked upon as an indicator of Britain’s ability to retain business investment after the country’s Brexit vote in June. Setting precedent is an earlier situation with Japanese automaker Nissan, which in 2016 asked Britain for a pledge of compensation if its U.K. plant was negatively impacted by Brexit. After what is believed to be a promise from the government of extra support should the carmaker become less competitive, Nissan went on to invest in the production of two new models at its U.K. plant. Vauxhall is one of GMs most important markets and has kept Opel alive for a very long time. PSA wants to close plants, and it is far easier to do so in the UK–especially after Brexit. Opel, not Vauxhall, is the diseased flank of GME. GM needs long term vision as opposed to short term stock spikes. As such, The General should keep Vauxhall. Vauxhall is already set to sell Cruze along side Astra, has a spark varient, a ‘nox varient and is supposed to be getting a GMC SUV if Motor Trend is to be believed. Going forward, future models could be shared with other GM divisions creating a hyperbrand. Due to the small amount of UK factories such a venture would be highly profitable & be worth more than the current 2 Billion asking price. I’m sure PSA would take continental operations at a discount and, regardless of price, GM would be in the black by transferring non UK factories. Opel, not Vauxhall, is the ailing flank of GME. Steve – I think there are 2 separate issues at play here. Firstly, whatever happens to the Vauxhall plants in the UK the Vauxhall brand will still remain in place, only a complete brain dead moron would advocate changing the brand in the UK and PSA are not idiots where brand management is concerned – although I do question the strategy behind the DS idea. As far as the plants go, Luton & Ellesmere Port are among the most efficient anywhere within GM but they rely heavily on imported components for manufacture which has been negatively affected by the drop in Sterling as has the models imported from Europe. This is pretty transient and could very easily change, what is a bigger factor is the political game being played out by governments & PSA. Brexit “could” be favourable to the UK plants because if you assume in 2 years time the UK is out of the EU then the British government could easily offer financial incentives for PSA to remain, something they can’t do at the moment “officially”. I think it is likely that PSA will agree to everything they have to in order to get the deal signed & sealed but in the longer term, 2 to 5 years, I think every Vauxhall – Opel plant will be far from secure possibly with the exception of Glwice in Poland. Also there is some evidence that now the VW emissions scandal is fading from the headlines the Opel sales momentum is starting to lose ground. With a US-UK trade deal on the cards post-Brexit, how much sense does it really make for GM to abandon Vauxhall? Surely that has the potential to work in their favor.